Leicester’s rich past certainly plays a pivotal role in crafting its character. Being rated as England’s first green city, it offers a clean, calm and peaceful environment that is far from bustling vicinity. But strategic location and great connectivity make the surrounding areas extremely approachable. Modern, vibrant and multi-cultural; get ready to enjoy the best of Leicester! Relocation can be challenging, but we make it easy. 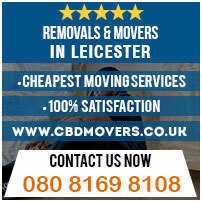 At CBD Movers, it’s our mission to help individuals, families, and businesses relocate to Leicester with ease and competence. As reputed and dependable movers in Leicester, we take care of all your packing and moving needs thus enabling you to start your new life in Leicester in a worthy manner. At CBD Movers, we aim to make your move as easy as possible. We undertake a whole spectrum of removal jobs and thereby cater to the distinct and varied needs of house removals and office relocation. We excel in furniture removal and are fully equipped to move every piece proficiently. In addition to undertaking all-inclusive house and office removals in Leicester, we also offer man and van in Leicester facility to address one-off removal jobs. We go beyond just moving boxes. We plan and organize every move after careful evaluation of removal needs and budget. Our pre-removal inspection ensures that we come fully equipped on a moving day. We pack, load and move belongings competently and remain in the job until we unload, unpack and rearrange your new interior. Effective execution of removals in Leicester is not possible without appropriate removal gear. At CBD Movers, we have the best removal operatives and are aptly equipped with the latest removal tools and techniques. Our fleet of removal vans are purposefully equipped, well-maintained and periodically overhauled. We have the required licenses and permissions and are therefore legally certified to undertake local and national removals. With the highest standards for relocation services in Leicester, we are certainly the most preferred movers in Leicester. We strive to provide best-in-class removal services at affordable rates. Our bulk operations and cost economy allow us to cut costs rather than compromise on quality. We beat every written removal quote by 10%, making our man and van in Leicester service the cheapest in the region. Looking for trusted and reputed removal services in Leicester? Look no further than CBD Movers. 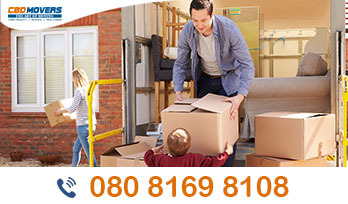 Our relocation services for house, office and furniture removals are timely, safe and stress-free. Get in touch with us today and enjoy customized removal deals for smooth and safe relocation to Leicester.